Seniors this one is for you!! 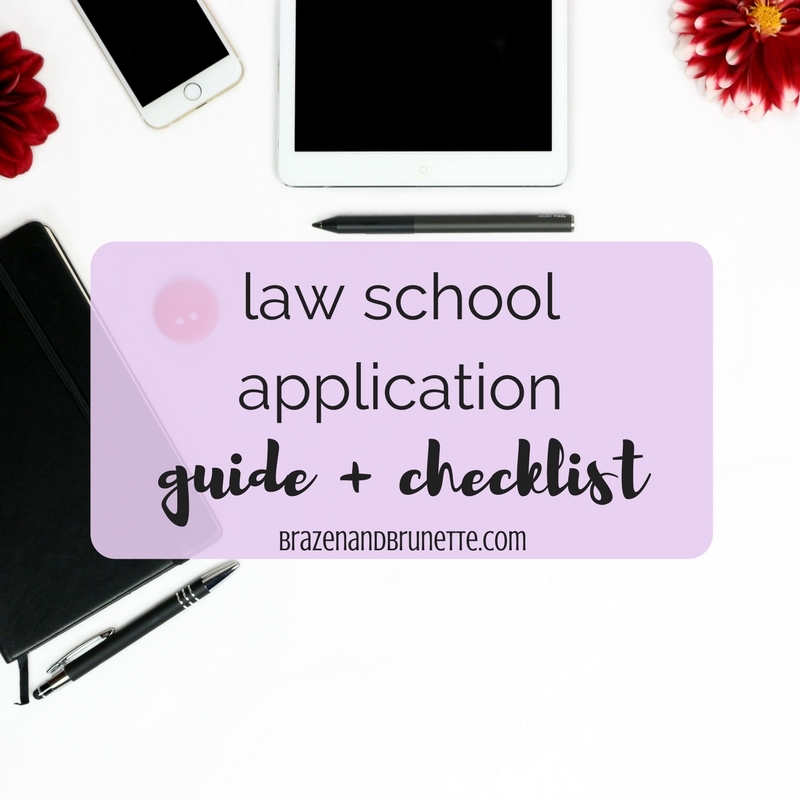 Ok, well actually law school applications have been open for like a month now so if you're an eager beaver who has already submitted all of your apps and are just sitting around waiting for responses, then you probably don't need this post. So, Seniors with senioritis who are procrastinating or want one last try with the December LSAT, this one is for you!! If you want to throw down the cash and apply to 30 schools then by all means, have at it. But if not, now's the time for you to decide where you're actually going to apply. The short cut to this is ask yourself, would I be happy going here? would I be proud to have their diploma on my wall and their school on my résumé? Yeah sure it worked out for Elle, but just because you know someone who goes to a law school means that it's the right school for you. I'd say pick between 6-10 schools to apply to. Remember that some schools will have a quick deadline for you to pay a seat deposit if you're accepted so if you aren't quite sure where you want to go, you may get yourself in a sticky situation with those deposits. I know you're thinking that there's absolutely no way you could miss a deadline, *Gretchen Weiners voice* but you could be wrong. It's just better to be safe than sorry so double check those deadlines and mark them in your planner in a color that you normally don't use and also add it to your phone calendar with notifications 1 and 2 days out jusssst in case life happens and you don't get your apps in as soon as you thought you would. Knowing these can also really help you prioritize what to do first so that you don't end up rushed on one app in the end. Ok, so once you've picked a handful of schools it's time to do some digging. I recommend you check both that school's admissions page and LSAC to see what they're asking for because I've heard stories of school websites giving extra explanation over what they want so it's best to just double check. 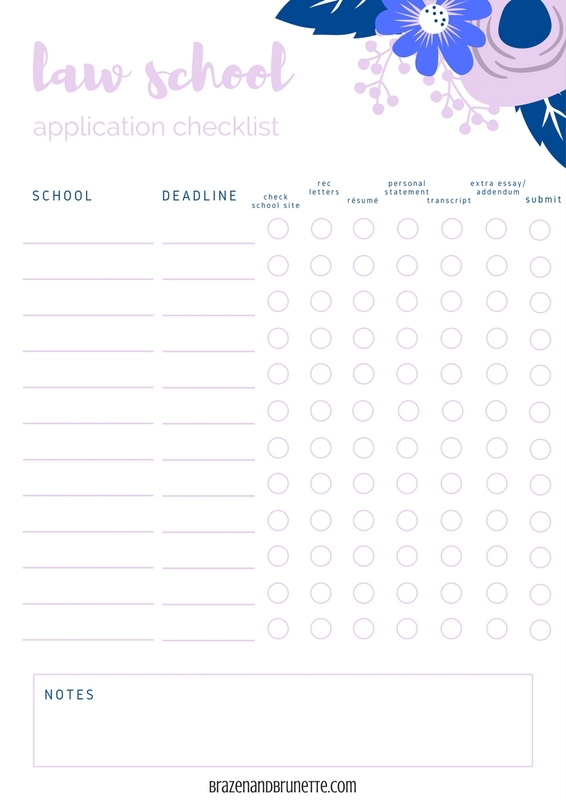 This also might help you decide where to apply because if a school that you're just meh about is asking for a personal statement, 4-5 rec letters, plus an additional essay, with a video submission thrown in, then you might decide that the effort isn't worth your time and you'd be better off dedicating all that time to an app for a school that you really, really want to go to. If you do end up needing to do an extra essay, start brainstorming and making rough drafts. This turned out to be such a fiasco for me. At the beginning of the summer before my senior year, I chose who to ask for rec letters and asked them to write me one. I figured they'd have the whole summer to write them so they wouldn't feel rushed. Well one person completely forgot to do it and another person wasn't responding to my emails because turns out that professor took a job at another university and wasn't getting my emails! Obviously I had a mild major meltdown. The takeaway from this is give them a nice little reminder that you'll be needing that soon and then a week or two after that is when you have LSAC send them the link to upload it or whatever (it's been a while since I did this okay). Then give them another week or so and if you see that they haven't uploaded the letter, send another polite reminder that your whole future is depending on this or even go visit them in person. Remember how extra Paris was in Gilmore Girls and had like 30 different résumés? Be that extra if you can. Here's what I mean... if one of the schools that you're applying to has a great clinic that you want to be in, it'd be great if your résumé reflected that. So like if they have an animal defense clinic you could show how you are always down at the shelter playing with the dogs and then in your personal statement mention that you're an animal lover and would love to work in that clinic. When everything lines up like that, it'll help the admissions committee see you as being involved in that clinic and then wow magic that means they're already envisioning you as a student and what do ya know now they think you're an ideal candidate for them! Here's what I was told— if you take the same personal statement, change out the names, and then send it to all your schools, then you're not being personal enough. 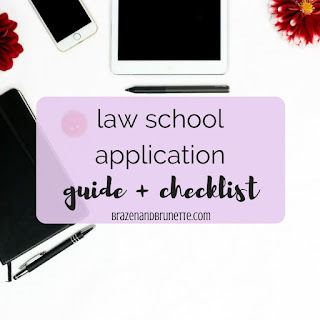 I don't mean that you can't keep the majority of it the same, but you do need some personalization at least beyond changing out the names (and dear God plz double check that you don't send X law school a paper over how much you love Y law school). Basically just take what I just said about the résumé and expand some more and either weave personal touches throughout your PS if it'll work out or if not then add a paragraph in there about their school. Show them that you took the time to at least Google what they had to offer. But really, find a clinic or a program or something that the school offers and talk about why they're the perfect school for you and then how you're the perfect student for them because of whatever life experience would make you great to be involved with whatever it is. I mean heck, even just saying something like I saw that your school offers free counseling and student wellness support throughout the year so I want to go to X law school because I can tell that you truly care about our well-being would at least show them that you took the time to see what they're all about. There are a lot of questions so go ahead and get started now so it's out of the way. The good news is that with LSAC is that it'll save your answers so it's really easy after you do one. On another note, after taking the MPRE and everything I will say this— disclose everything. It's better for you to disclose something and then the schools be like oh that's nbd than for you to not disclose and they later find out and now you're shady on top of whatever else you did bad. You might even need to write an addendum for that. 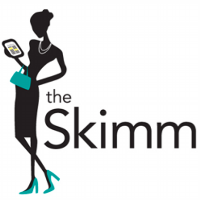 If you're not sure, I suggest you check out this Should You Write a Law School Addendum post. My school took like a week to process my request (plus I had to pay for each one so that's always fun). So yeah this can kinda be one of the last things you start on but remember what I said about making sure you're good with your deadlines. But I will warn that even once you get an acceptance letter back that does not mean that you can give up on your grades. Some schools over the summer will require you to submit your final transcript before orientation and if you just gave up and got some D's that last semester well then you might be getting a fun little email from them wanting to talk about that! And I made you guys a cute little printable checklist to keep track of everything! You gave some solid points and that honestly helped a lot in finalizing the application. I always forgot one thing or two in the end and it caused me a lot of trouble.